Manufacturer: Honda Motor Company Ltd. 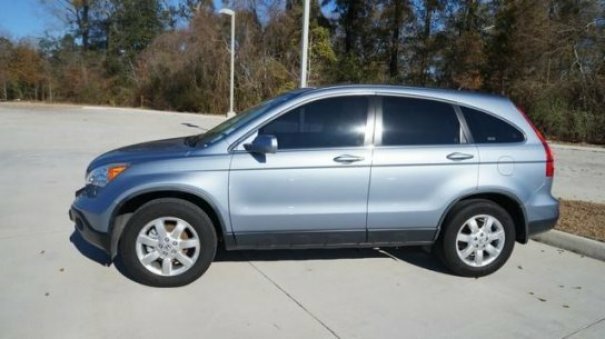 I bought my honda cr-v(4 speed manual) brand new in 1998, i have changed the oil, the timing belt and have done two valve adjustments. It now has 256,000 miles, and has never failed to start and drive beautifully! It never uses oil, never overheats, and never has a problem in snow or on ice. Being All Wheel Drive, and 4 speed auto, this car is economical as well. I drove it to Houston, Texas and averaged 39 miles per gallon the entire trip down there. That's NOT highway, that's the overall average mileage for the entire trip calculated from the gallons used and the mileage driven to getting back to our driveway at home! Not to mention, not a single thing on the car has stoped working:a/c, radio..ect. Props honda, you have a lifetime customer. It is super reliable. Comfortable. Lots of space/pockets with plenty of tie-downs. Easy to drive. Driver's seat sits high so it has a great view of car and road without having to step up into the vehicle like with larger SUVs. Good ground clearance. You just can't beat the quality of this car!